An official of the Kick Against Indiscipline, Lagos State, Moshood Ayeni, has been allegedly lynched by some hawkers in the Iyana Oworoshonki area of the state. 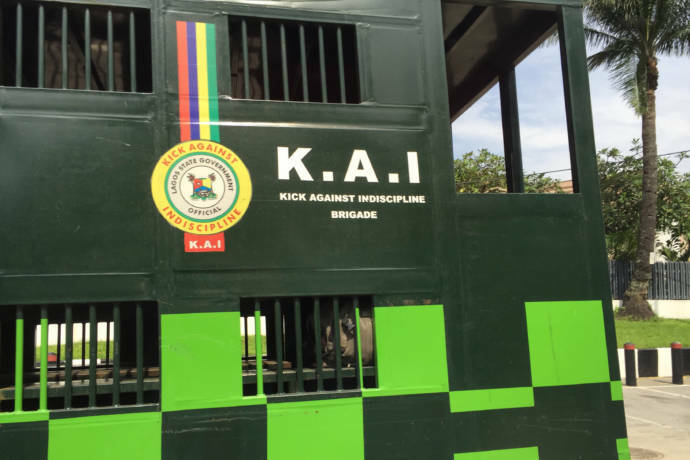 It was said that Ayeni and other members of his team were returning to their office in a KAI truck on Tuesday when they saw two traders hawking on the road and arrested them. It was learnt that the traders, who were later identified as one Jeremiah Nnana, 28 and 20-year-old Orichi Nwofokoh, alerted their friends. As the operatives were about living the scene with the suspects, other hawkers reportedly hauled stones at them to protest the arrest. Our correspondent gathered that the stone struck Ayeni in the head and he fell from the truck, hitting his head on the road. He was rushed to the Lagos State Accident and Emergency Centre at Tollgate, from where he was referred to the Lagos University Teaching Hospital. He died from excessive bleeding in the early hours of Wednesday. The spokesperson for the brigade, Mrs. Rahmat Alabi, who confirmed the incident, said Ayeni was on grade level 05. She said, “The brigade regrets to announce‎ the untimely death of one of its officials, Mr. Moshood Ayeni, a Law Enforcement Environmental Sanitation Assistant I, grade level 05, who was lynched yesterday at Iyana Oworonshoki by car wash, before Ogudu lay-by, by illegal highway traders on their way back to the office. “According to one of the officers of the team, Mr. Okarutu Eneji, a Law Enforcement Environmental Sanitation Superintendent grade level 07,‎ the team with green maria, with number plate, RD 643 DS, apprehended one Jeremiah Nnana, for hawking gala and another hawker, Orichi Nwofokoh, for selling phone accessories along the highway. Alabi added that Ayeni’s remains had been deposited at the hospital’s mortuary. The KAI Marshal General, CSP Jimoh Amusat (retd. ), said it was barbaric that the officials were attacked while carrying out their lawful duties.